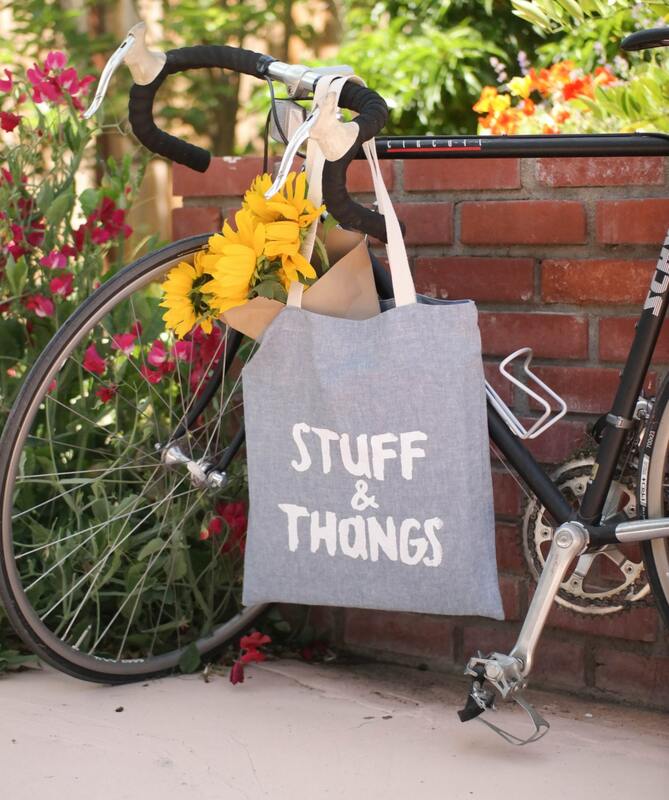 Keep all of your stuff and thangs together with this chambray tote! 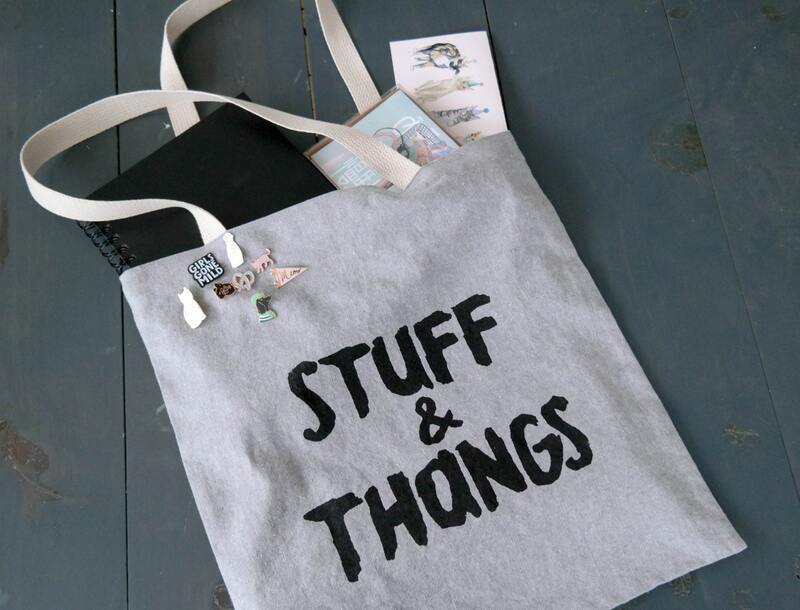 Whether you need to carry school stuff (easily fits laptop -- even large ones!) 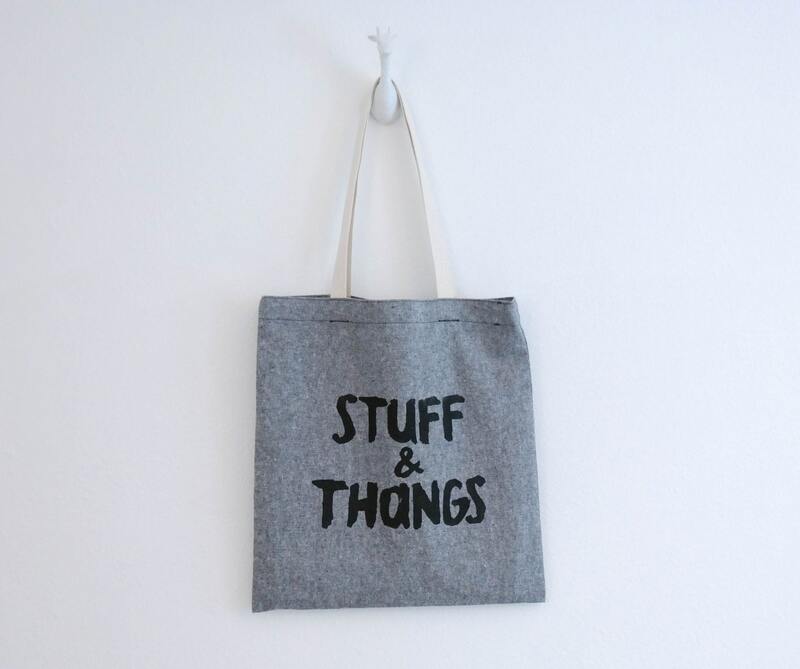 or groceries and thangs, just sling this silk screened book bag-style tote over your shoulder and you're covered.